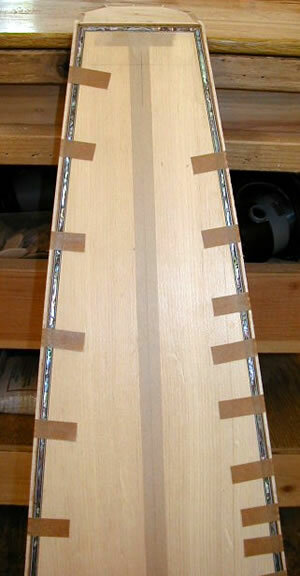 And see some Completed Inlaid harps. 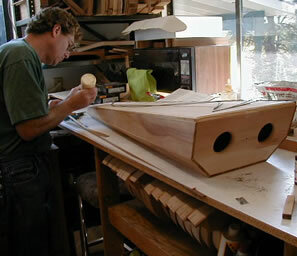 Dave routing out the space for the pearl to lay in. 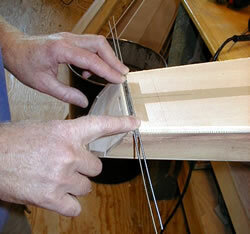 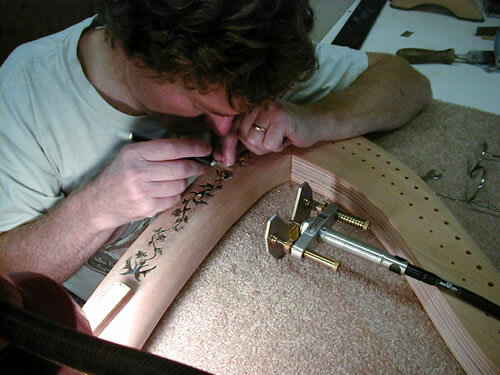 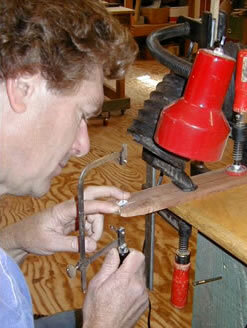 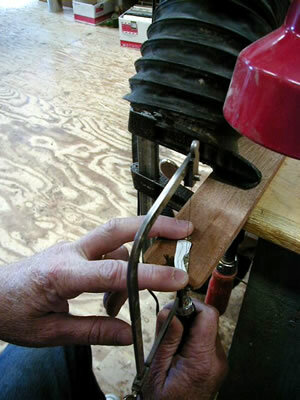 Putting the inlay into place on a Koa Cygnet harp. 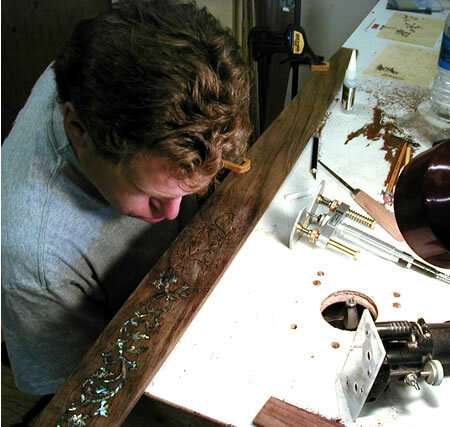 Blowing away dust off the T-brace of a Koa Swan. 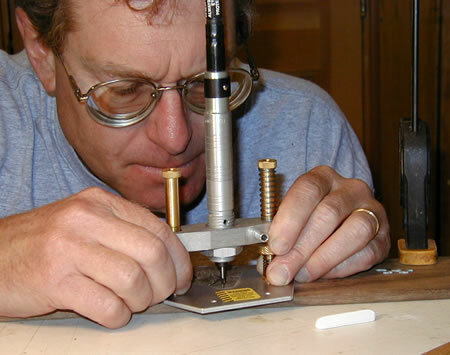 Cutting the individual pieces of pearl. 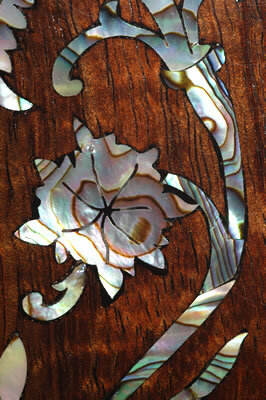 This is the inlay going around the soundbox. 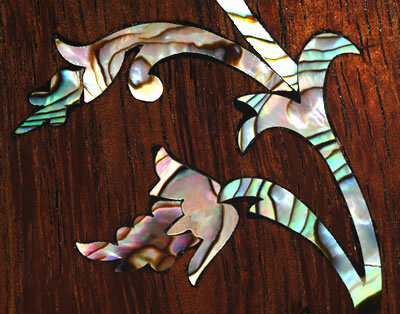 This Deluxe Koa Swan harp with Pearl soundboard and pillar inlay is a celebration of our 2004-20th year of harpmaking. 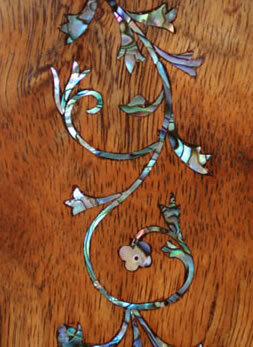 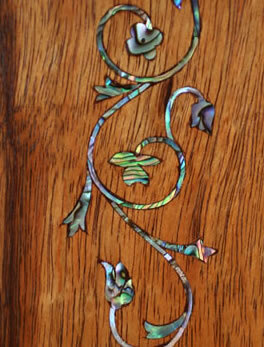 Click here to see a full close up of the pillar inlay and here to see soundboard inlay. 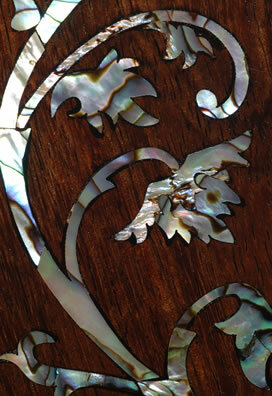 Close up of the Tree of Life pillar inlay. 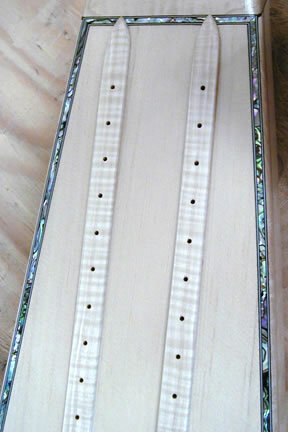 Gemini Double Strung with pearl inlay around a spruce soundboard waiting to be completed. 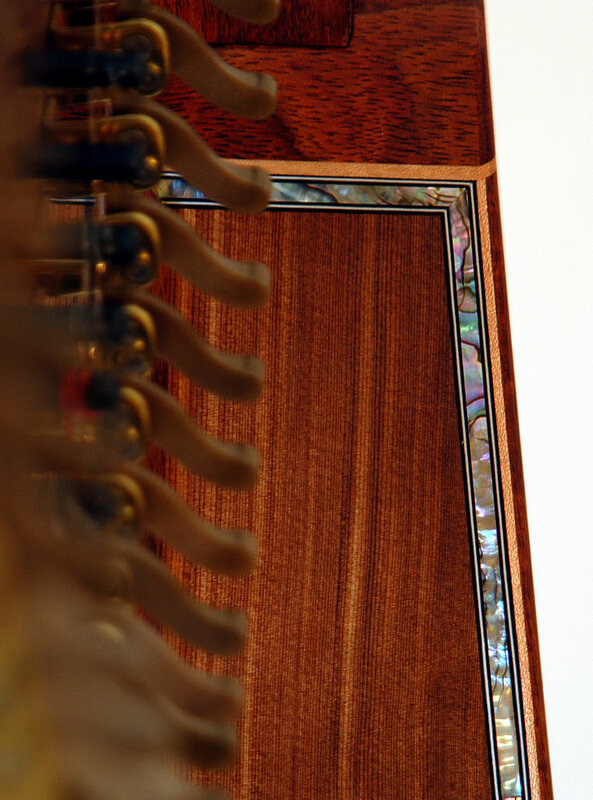 Please call (541 753-4334) or email (harps@thorharp.com) for more details.